Have you ever dreamed of playing sweet, happy tunes or melancholic ballads on a harmonica? If so, then you have come to the right place. Harmonicas have been around since the early 19th century. The first official harmonicas were manufactured in Germany, by a brand named Hohner. To this day, Hohner harmonicas still exist with an ever-growing base in Germany. Harmonicas are great instruments, but are often dismissed due to their small size. Don’t let their size fool you; they are powerful instruments, and will liven up just about any performance. Most people will actually associate harmonicas with blues and rock and roll music. If you are looking to make an impression and have a solo in your band, or if you just want to jam alone, we have compiled a list of the best harmonicas out on the market today. We have spent a lot of time researching and gathering information on the features of each of these products, and we can say with certainty that they are good, reliable instruments. What to look for when buying a Harmonica? How To Clean A Harmonica? How to Hold a Harmonica? Where to Buy a Harmonica? First on our list is an all-around Amazon best-seller, the Mugig. With over 200 reviews, future customers can rest assured that they will be buying a product tested by many. The item has only been available for purchase since a year, but its popularity has showed us just how beloved it is. Mugig did a good job representing the product in a good light, too, focusing on both presentation and playability. The harmonica can be packed away into a chic, small case that is 100% portable. It’s also important to note that the Mugig Diatonic has had the nr.1 spot in the harmonica department on Amazon, despite only being distributed in 2017. That’s definitely a big achievement, and should disperse any worries that you could have about investing into this diatonic. It’s also important to note that Mugig makes professional harmonicas, too. They put a lot of effort into putting all of the vital, harmonica features into their budget-priced harmonicas as well as their more expensive products. Mugig’s Diatonic Harmonica definitely has a lively, bright sound quality that will suit just about any band or solo performance. This harmonica has been designed especially to suit beginners and people who haven’t had previous experience with them. It’s also a great harmonica to take to practice sessions with, if you are not keen on taking your prized Hohner Harmonicas with you onto trams and local buses. It also goes extremely will with an electric or acoustic guitar accompaniment. The Mugig is a durable, reliable instrument with phosphor bronze reeds and a stainless steel coat that won’t succumb to any quick wear and tear. It’s also fully pocket-sized, and is small enough so that you can carry it around wherever you go. Its general dimensions are: 4.1 x 1.4 x 1 inches. Thanks to the bronze reeds, that fall faster than reeds made from other metals, you will be able to blow into the harmonic with ease, producing immediate sound. This makes the sound more stable, and helps you better reproduce songs that you want to play. The Mugig has 10 holes, which allows the player to have access to 20 notes. This means that you will be able to play all chords and melodies all within the key of C.
Why We Liked It - The clear, ringing notes each have a specific, individual tone that will make just about any song shine in its best light. It’s ideal for blues, folk music and pop performances. Fender is one of the most popular music/instrument brands in the world. Many people associate Fender with guitars, however they produce a variety of instruments, including harmonicas. Fender was established in the year 1946, and has supplied both beginner, intermediate and professional players with quality instruments. They have produced harmonicas specifically for various genres, ranging from rock ‘n’ roll, jazz to blues etc. With the Fender Blues, you will be getting a product that will help you represent your skill level faithfully. There are at least 200 positive reviews that you can sift through that will help you decide whether you want to invest in this beautiful product. It’s a bit more on the expensive side, but it’s definitely worth the price. Thanks to Fender’s strong manufacturing and construction skills, you will find that this harmonica is fully durable, and will survive a lot of wear and tear. 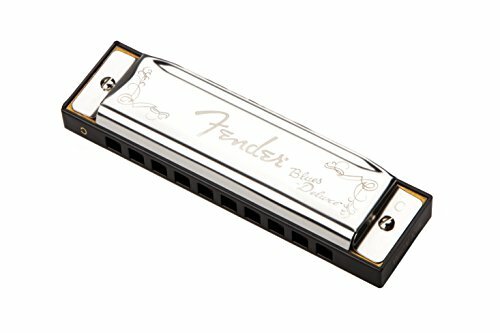 The Fender is definitely a brand that knows how to make good-sounding instruments, and the Fender Blues harmonica is a good representation of these Fender virtues. 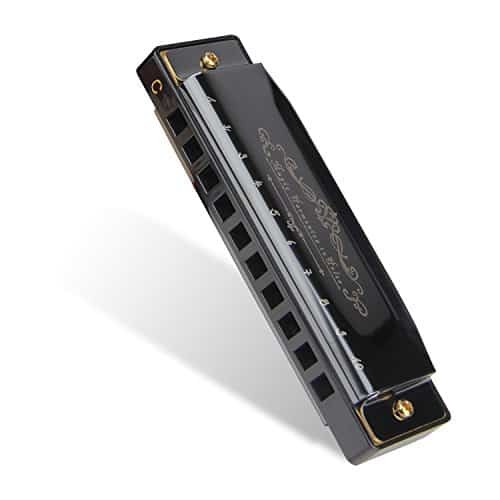 This harmonica in particular comes in seven harmonica keys: C, Bb, A, D, E, F, G. The C key sounds relatively deep, mellow but also has a hint of cheekyness. The Fender Blues is made to be versatile, and is ideal for playing all kinds of music genres. It makes itself very distinct among band practices, and is ideal for professional players and beginners alike. The Fender Blues has the typical, traditional harmonica shape that makes it easy to hold and to play. It’s also covered with chromed metal covers that will allow you to have a comfortable performance, with a good, solid grip. The Fender Blues comes with a protective, vented case that allows the harmonica to vent and stay dry after each playing session. It’s also easily portable thanks to its size, and comes with a small cleaning cloth. It’s definitely a durable harmonica holder that won’t let anything happen to your harmonica while it’s inside. Why We Liked It - If you have been having trouble with having yourself heard when you are playing Harmonica with other bandmates, then the Fender Blues will sort that problem out. Swan Music Musical Instruments Corp is a brand known all around for their beautiful, good-looking harmonicas. Their products are distributed by the Swan Music Store around both the United States and America. The distinct thing about Swan is the amount of effort they put into creating a reliable, quality instrument. They have a variety of harmonicas to choose from, all with outstanding reputations and reviews. However, during this quick review, we will be focusing on the Swan 10 Hole Harmonica. The Swan is ideal for beginners, and can be easily cleaned with a cloth after each use. The Swan logo is beautifully engraved on both the front and the back of the harmonica, and is able to retain a simple but elegant look of a traditional harmonica. It’s definitely a pocket-sized instrument, and is perfect harmonica for beginners, intermediate, kids and adults. Since the Swan comes in a C key, it naturally has a deeper, mellower sound than harmonicas that are sold in other keys. 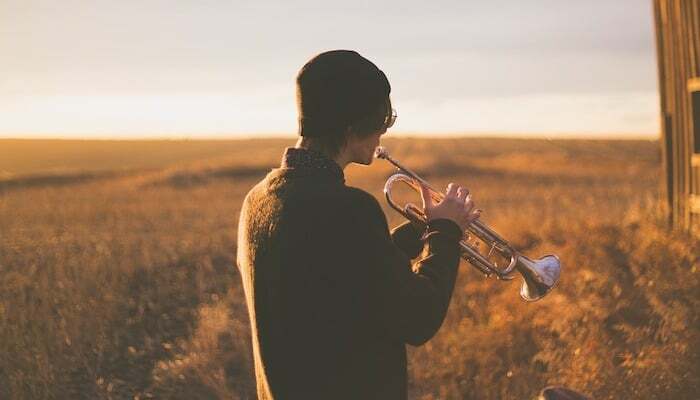 It’s ideal for playing blues and jazz pieces, and will be the ideal accompaniment to any band that needs to add an extra sound into their repertoire. 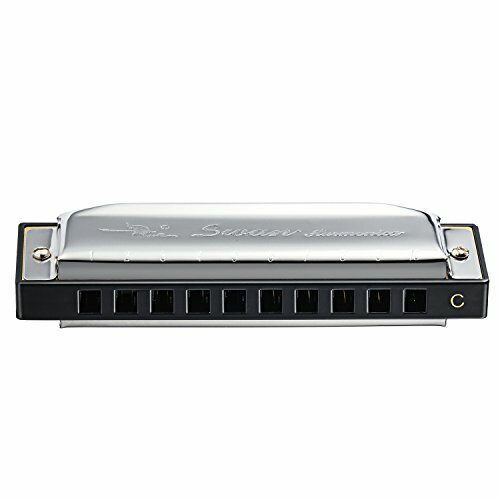 This C Blues harmonica has a smooth, responsive performance that will allow you to hit all notes clearly and accurately. It’s easy to hold, weighs only 1.5 ounces and with over 500 reviews, it has a place on the Amazon’s Choice list of products, which is no small achievement. With a ranging 4.8 review average, the wonderful performance capabilities of this blues band harmonica cannot be disputed. 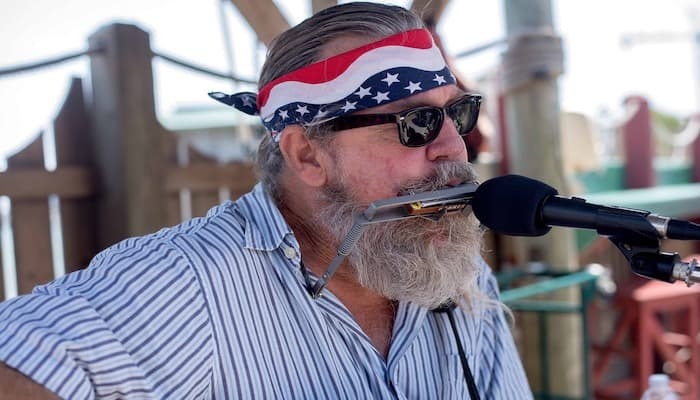 The Swan is a 10 hole harmonica in the key of C, which helps you reach and explore up to 20 tones as you play and discover new chord combinations and harmonies. You will see that the Swan is also made from high-grade materials, which give it its slick appeal. The copper reed plate and stainless steel cover plates definitely add to the shine of the harmonica, too. The Swan Blues harp harmonica comes with a durable plastic, black harmonica holder that will help keep your harmonica safe from dust, accidents and scratches. It’s also 100% portable and can be safely kept in a pocket or bag; since Swan knows that harmonicas need to be able to be carried around conveniently. Why We Liked It - Most harmonicas don’t cost much and sound average. Swan, however, wanted to make an impressive product that could help you look forward to your practice sessions, and we think that they managed with the Swan 10 Hole Harmonica. Just like we mentioned in the introduction, Hohner Harmonicas is one of the original distributors of the harmonica itself. This, first of all, means that their products are significantly more expensive than the other harmonicas we listed, but there are good reasons as to why that is, too. Established in 1857 by Matthias Hohner, this company has been around for almost two centuries. It’s easy to see that they know how to make stunning, reliable instruments that please all their customers. Hohner’s passions were developing quality harmonicas and accordions, and it’s no wonder that that’s what his company is most know for. 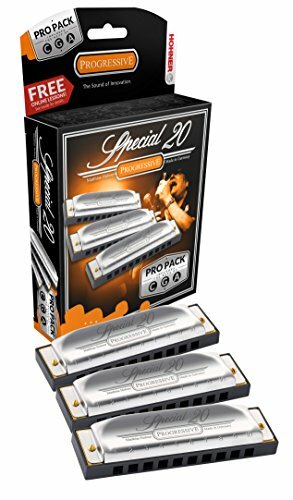 It’s important to note that the Hohner Special 20 is a professional harmonica, hence its increased price when looking at other budget harmonicas. If you have been wanting to move on to more advanced harmonicas, then we can wholeheartedly recommend taking a look at the Hohner Special. The Hohner Special is a quality, professional instrument, and has been developed to sound and rival other professional-tier harmonicas. It has a distinct, wealthy sound with clearly hearable, individual notes that melt beautifully into harmonies and chords alike. The Hohner Special will shine and excel in just about any environment; whether it’s by reproducing a blues, pop or jazz song. Its distinct sounds and tones will help you discover new music genres, and help you develop your style as you advance in when playing harmonica. For extra playing comfort, Hohner also added a molded plastic comb with a projecting mouthpiece to the design. The Hohner has recessed 0.9mm brass reed plates that are mounted with durable, sturdy screws that won’t let them budge. The harmonica comes in the key of C and can even be purchased in 10 other harmonica keys: A, B, Bb, D, Db, E Eb, F, G and G#. This definitely encourages players to mix and match their favorite harmonica keys without feeling limited to one option. The best feature of the Hohner Special is the fact that it comes with 30 days of free online harmonica lessons. For beginners who are serious about playing, this is extremely helpful. 30 days is just enough time to figure out the instrument, learn how to play the basics and move on to slowly playing songs as you advance. Why We Liked It - It’s the most ideal sounding harmonica that you could ask for for such a price. Check out the Hohner 1501BX Blues Band Harmonica as an alternative. I-Mart has been supplying the market with their quality harmonicas for over 3 years now. If you are not sure if you really want to start playing the harmonica, this I-MART 10 Hole Diatonic Harmonica is the best product to try it out on. 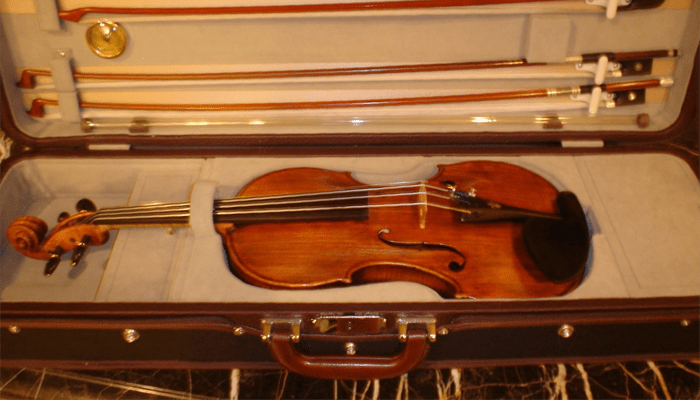 It’s relatively budget-priced, and you won’t have to spend all of your savings on an instrument you are not sure about. This beginners’ harmonica will also give you less reason to worry: you will be able to take the I-Mart Diatonic wherever you go, without worrying about it getting scratched or damaged. The I-MART 10 Hole Major Diatonic Harmonica a durable, reliable, budget instrument that will help take you form a beginner to intermediate level if you are willing to put in consistent practice. 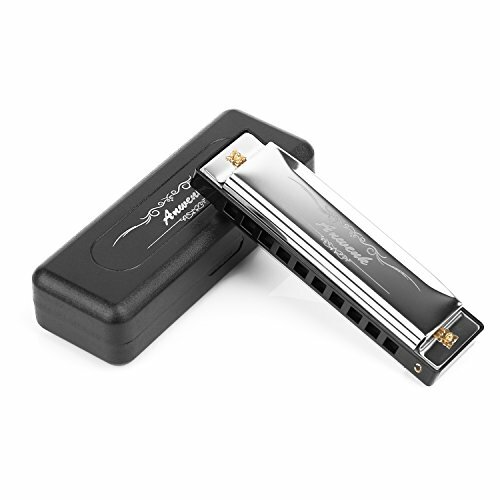 The Major Diatonic harmonica is also pre-printed with number keys so that you will be able to play your favorite tunes within minutes of receiving it. This is a great feature for those people that want to combine learning and fun playing together, while getting a quick reward system. The I-Mart Diatonic is the ideal key C harmonica that combines the soothing, clear C single note tones with crisp, responsive chords. It’s definitely a budget harmonica, but it does its job perfectly, and we wouldn’t be able to think of another harmonica priced so well with such a great sound. The I-Mart has a sturdy build and weighs in at about 3 ounces. This is a bit heavier than the previous harmonicas that we listed, but it definitely makes the instrument feel more stable. It also has a good, fast, strong response that will be able to harmonize with all the other instruments in your band or during your jamming session. The I-Mart is a 10 hole diatonic harmonica in the key of C, and is available in 5 colors: silver, black, blue, gold and red. The I-Mart Beginners Harmonica comes in a sturdy black harmonica holder, and it’s recommended to keep your harmonica within it when you finish playing it, or if you are not playing it at all. This will ensure that it won’t start gathering dust laying around on a shelf. It will also save you the trouble of having to clean it as often! Why We Liked It - It’s ideal for beginners, has a smooth plastic body that helps encourage fast playing, is made from quality materials and has been individually crafted. Here we have a second Hohner product. This time, the Marine Band Harmonica. Unlike many of the other contestants on this list, this harmonica comes in a custom, vintage-design case. Just taking a glance at it will make you feel like you travelled back in time to the early 1900s. It’s definitely a good playing harmonica for anyone that is trying to revive the old, vintage vibes with both the sound and the appeal of this Harmonicas set. Although, much like the other Hohner products, this harmonic is significantly more expensive than the others on our list. That comes down to the exquisite design, unique sound and all in all, this being an original, professional Hohner product. 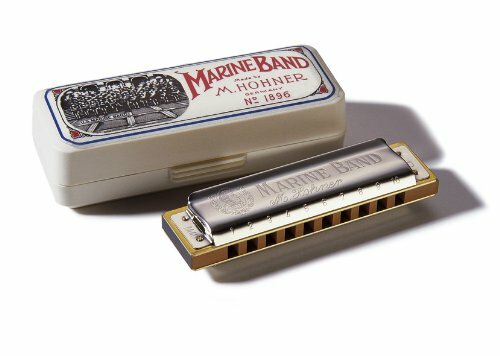 If you have been playing for a while and want to treat yourself to a new, more advanced harmonica to buy, then the Hohner Marine Band is the ideal choice to go for. The Hohner Marine definitely has a more vintage sound, almost even sounding a bit muted at times. Overall, it’s a fantastic instrument that helps you hit those high-notes just right. You won’t need to be careful about hurting anyone’s ears with this harmonica. The Hohner is very easy to play, and is also very responsive to every attempt at making a sound. This is ideal for experienced players, but may be a bit troublesome for beginners who haven’t yet learned to play/control their blowing. If you are looking for a harmonica to buy that will melt in smoothly with the rest of the band without standing out too much, then the Hohner Marine is your go-to instrument here. As we mentioned before, the Hohner has a distinct vintage look, and prides itself for being one of the world’s most recognizable harmonicas. It has 20 reeds and 0.9mm brass reedplates as well as a quality pearwood. It weighs about 3 ounces and can be considered a sturdy, well-weighted harmonica built in the C key. As we mentioned in the above paragraphs, the harmonica comes with a vintage case that can fit in your pocket comfortably. With the Marine Band title and Hohner logo engraved on the front, it’s easy to see that everyone you meet will have no trouble recognizing this quality Hohner product. Why We Liked It - It’s a compact, quality instrument that will help liven up any stiff party, on land or out at sea! This harmonica by Everjoys has been made with the company’s motto in mind: designing intellectual and creative musical instruments. Their goal is to have their instruments have a posh design, fantastic functionality, quality materials and top-notch construction. Luckily, they succeed in all four departments, and that’s why their harmonicas have a string of 5 star reviews behind them. Their goal is to provide good instruments at a low price, and this Diatonic Harmonica is no exception. If you will not be left satisfied with Everjoy’s product, they have a policy that allows you to return their product 100% of the time, no questions asked. This also goes for those unlucky times when you get a defected product; Everjoy’s will give you a replacement within days. This kind of customer service is what makes this company stand out among the others, and what generates so many positive reviews. Each customer has a chance to say what they think, and the constructive criticism is always taken into account. The Everjoy harmonica has a distinct sound that is both rich yet melancholic. The responsiveness of the harmonica is strong, and it will faithfully reproduce any song that you play on it. It also has a good balance between all of the harmonies thanks to the well-crafted plastic comb and copper harp reed. The Everjoy has a distinct presence in any band setting or during any jamming session. It’s ideal for both solo and band performances, and can really enrich and accompany just about any other instrument played alongside it. Weighing in at only 1 ounce, it’s also light to hold and easy to play thanks to this. This Diatonic Harmonica is made with steel cover plates, a plastic comb and a copper harp reed that allows the player to go into higher pitches smoothly, and easily. The design is also fuss-free, allowing the player to easily navigate around the reeds, producing accurate sounds as they play. Thanks to the Everjoy harmonica being compact in size, you can carry it everywhere and play wherever and whenever you like. You will also get a player’s manual that will help introduce you to the basics (something that is very rarely offered with other harmonicas) and a microfiber polishing cloth, so that you can keep your new prized possession nice and clean. Why We Liked It - The tone quality is well-balanced and will fit just about any genre of music, from folk music to pop to the blues. 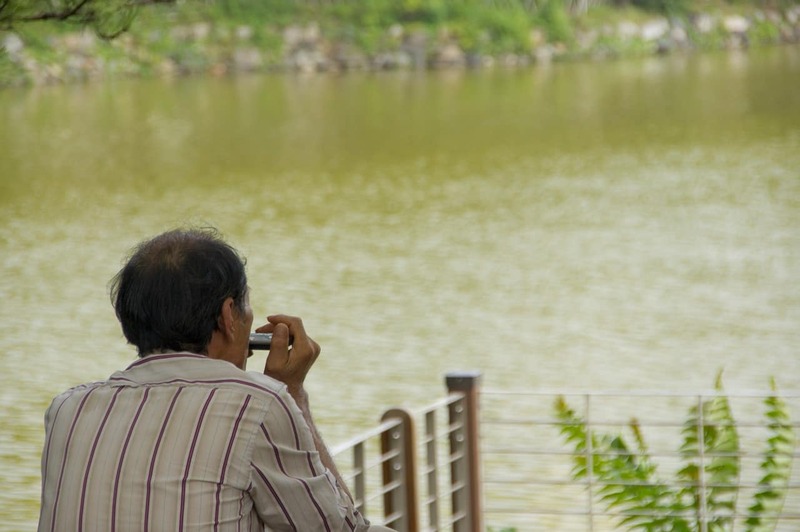 The Amosic harmonica has been available on the market for a bit over a year now, and it’s easy to see that it has conquered the hearts of many. With over 50 5-star reviews behind its back, many customers are willing to invest into this harmonica without much hesitation. It looks simple, has a basic yet inviting design, and is placed right in the middle of the budget scale. It’s the ideal harmonica to buy for intermediate players that feel that they already have a grasp on harmonica playing basics. It comes in the key of C, has 10 holes and 20 tones to explore and experiment with. This also means that its ideal for playing all sorts of music genres, from blues, to folk music, to classical to country. The 5.8"x1.6"x1.2" design is ideal for the human hands and fits perfectly. All of these features make the Amosic Blues Harmonica a true best-seller, and it’s hard to find a better harmonica to buy at such an attractive price, with such good sound and quality craftsmanship. 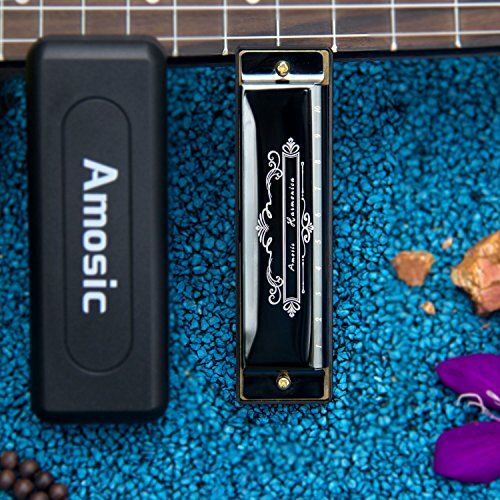 The Amosic has the original, key C harmonica sound and makes playing a treat. It sits right between the mellow yet loud and enthusiastic tones that makes it perfect for playing all sorts of songs. With its compact build, you can perform anywhere and everywhere with the Amosic. It stands out during jamming sessions just enough to give the band a new flavor of sound. It’s not heavy and can satisfy just about any adult or child that is willing to put the time in and learn how to play the instrument. Some people state that the size of the harmonica may feel too small for some, and that’s why we recommend taking a good look at the dimensions before investing. The Amosic, with its phosphor bronze reeds, is what makes the instrument have its pleasant, mellow sound. The fully enclosed ends also help to minimize any sort of air leakage that could occur when playing. 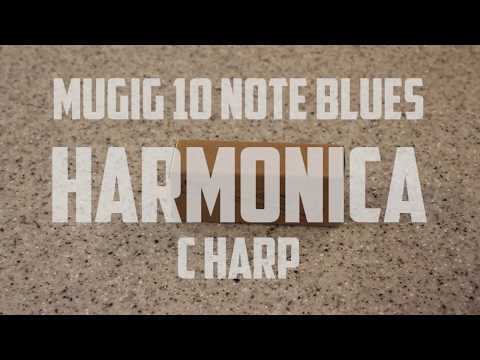 This is a great addition for those players that are used to average harmonicas that don’t produce stable, clear notes. Features The harmonica comes in a package with a cleaning cloth, a sturdy, reliable case, a user’s manual and a 12 month warranty. With its elegant appearance, it’s vital that you keep your harmonica safe and sound when you are not using it. The chrome cover plates mirror design, stainless steel design and is rust and corrosion resistant. Why We Liked It - The tones are clear, crisp but don’t make any screeching sounds like the cheaper harmonicas do. The Anwenk definitely fits more into the category of intermediate harmonicas. Being an Amazon’s Choice product and having over 200 positive reviews, one can see from the start this can be a good and worthy investment. It was made to be a student harmonica, but all in all it’s ideal for everyone willing to learn how to play, whether that’s a child, an adult or a student as listed. This harmonica is ideal for beginners and anyone who wants to start learning to play. Many customers state that despite the budget price, this harmonica has a lot to offer. 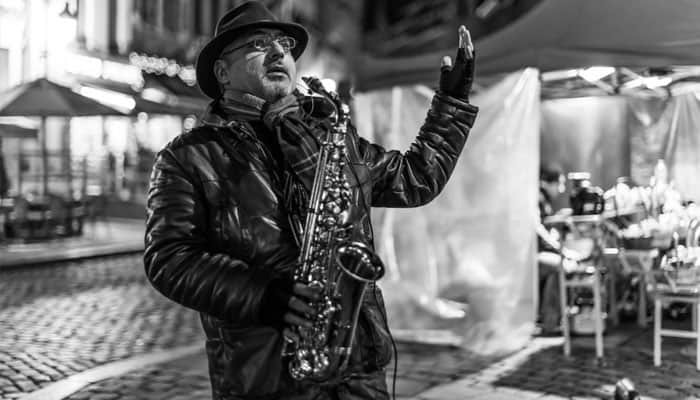 Many people end up buying the instrument just to add an extra track to the jam session or band practice. 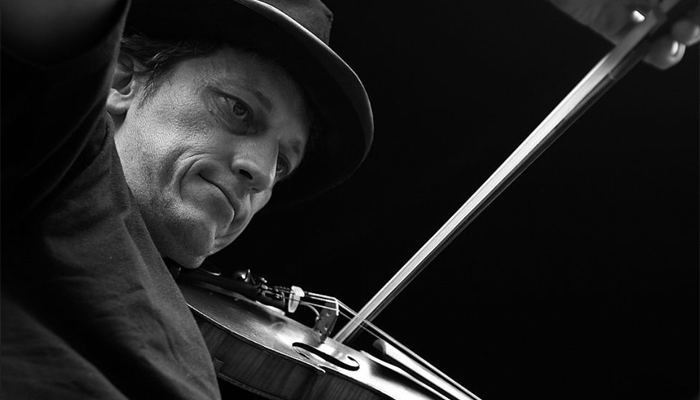 The Anwenk has a rich, bright sound that is ideal for folk music and country songs, as well as classical and blues. The crispy tone is largely thanks to the copper reed plates and the fully enclosed ends, which help the harmonica perform in its best light. The Anwenk harmonicas are also carefully tuned to the key required and tested before send off, to ensure the best harmonica playing experience. 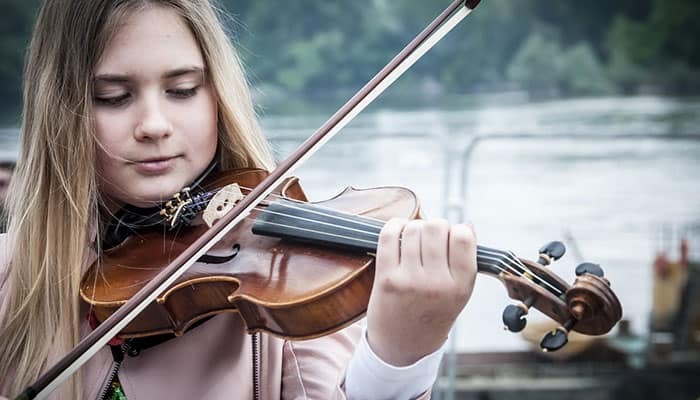 The Anwenk has been praised by customers for the way it can blend in along with other instruments, as well as its ability to stand as a solo instrument. This is hard to find in budget harmonicas, and that’s why a lot of people who have purchased the Anwenk use it on a regular basis. 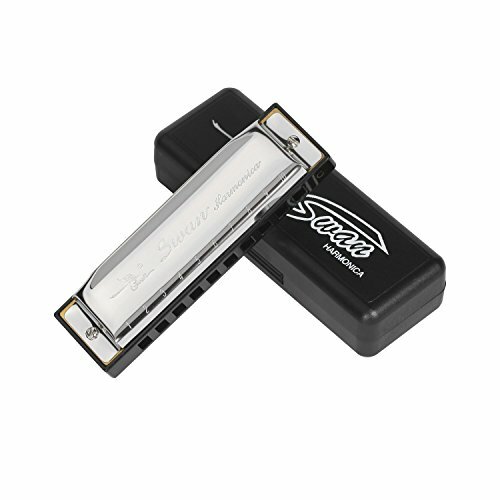 The harmonica has a stainless steel cover, the copper reed plates help enhance the crisp tone, and the precision-made plastic comb ensure that you have a good-looking, balanced harmonic ready to play whenever you need to. Thanks to the smooth steel cover you can play the harmonica smoothly, and the moisture absorption will remain limited. 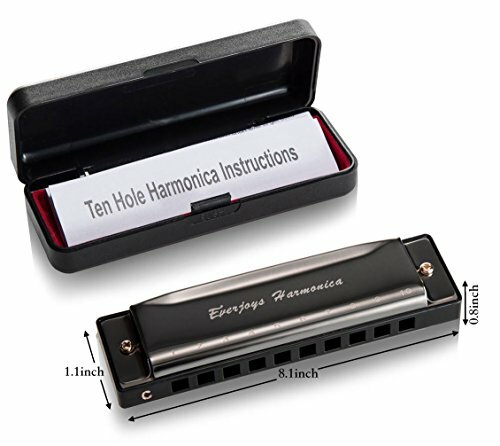 This beginners harmonica set contains the harmonica itself, a durable plastic case, an instruction manual, and the satisfaction of a 100% money back guarantee for 6 months. All of these features make for the best beginners harmonica start playing kit, and it’s definitely worth it for the price, since you won’t have to spend extra money to buy all the accessories separately. Why We Liked It - Many end up falling in love with the rich, lively sound that the Anwenk harmonica produces. This is definitely the best harmonica to have if you want to rekindle or fire up your passion for harmonicas. Last but not least we have the Lee Oskar Harmonica, which is by far one of the most expensive harmonicas on this list, even after the Hohner Blues Harp. This is definitely a harmonica meant for advanced or intermediate players, and it’s easy to see by the elegant design that this is a professional instrument. Lee Oskar Harmonicas was founded in 1983 in a collaboration with a manufacturer that is known for their excellent craftsmanship since 1917. Lee Oskar is known for their attention to detail, and those details are exactly what makes their harmonicas so special. Lee Oskar is also known for making their harmonicas suitable for almost anyone. 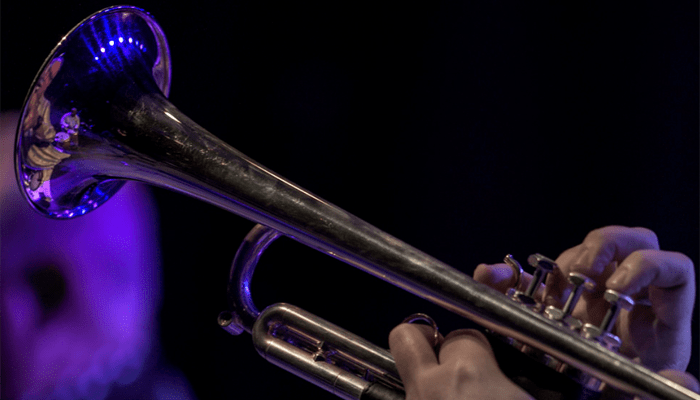 Whether you play blues, reggae, ska or hip-hop, this company has you covered. 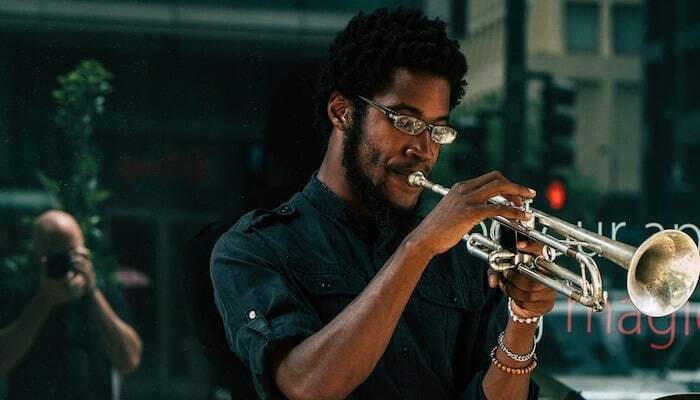 This is one of the reasons as to why their instruments are rather pricey; they are extremely versatile and allow for a lot freedom when playing. Everyone knows that musicians like to improvise during jam sessions, and the Lee Oskar harmonica will help you do that, without a doubt, and that’s why we think it’s worth the investment. The Lee Oskar has a rich, deep sound that can go into bright, lively bend notes within seconds. The tones are versatile, and the harmonica will quickly adapt to any genre and any song that you decide to impose on it. It’s the ideal instrument for musicians that like to experiment, explore and discover. The Lee Oskar is the best harmonica when it comes to live performances. It’s able to keep and hold notes, and can change from high to low tones flawlessly. The plastic comb and the large holes that have been crafted within the Lee Oskar help make playing easy and smooth, allowing for a fuss-free experience. The air-tight design prevents any air leakage, the reeds are 100% responsive to any sound alternation and the loud sound will help you stand out when you play. The reed plates are also replaceable at half the price, should you need to get new ones. These harmonicas are manufactured in Japan, and come with a case where you can put away your harmonica when you are not using. The case, however, is simple and it may be worth to invest in a more durable one that can protect the harmonica from falls and accidents. Check out the Hohner Piedmont Blues Harmonica for an alternative. Why We Liked It - If you are looking for an instrument that you can rely on when you are our performing solo or with your band, then the Lee Oskar is the ideal companion to have by your side. After seeing the dozens of options available out on the market, choosing one single harmonica can seem like an impossible feat. After all, you want something that sounds good, but also something that motivates you to keep playing every day. This means that deciding on one single instrument can feel like being cornered. Since we know that making a single decision is hard, we compiled a guide of features that each harmonica has so that you can better understand it features. Hopefully, through this way, you will be able to choose which harmonica fits all your needs by being thoroughly informed about how a harmonica works and functions. Harmonicas are generally cheap instruments. They can range to cost anything from $5 to $50. 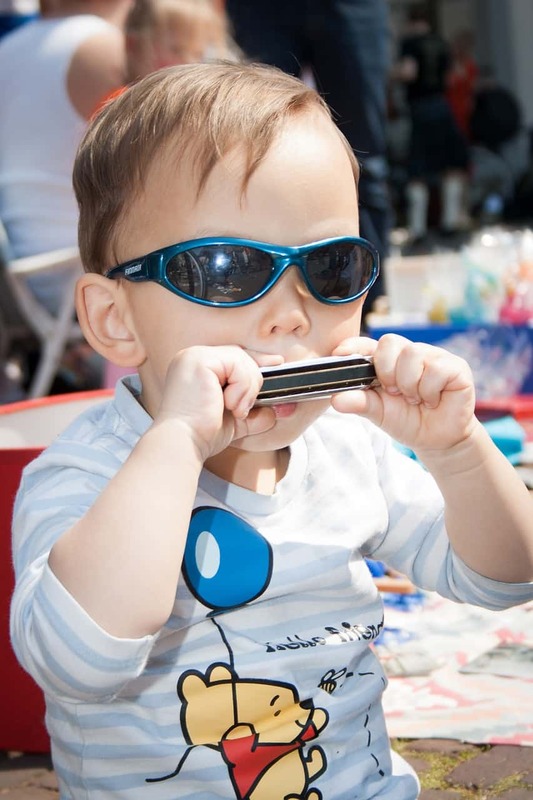 If you are a beginner, then we recommend buying a harmonica priced below $10. This way, if you don’t like it, you won’t feel like you spent a big fraction of your budget on something that will lay around gathering dust. 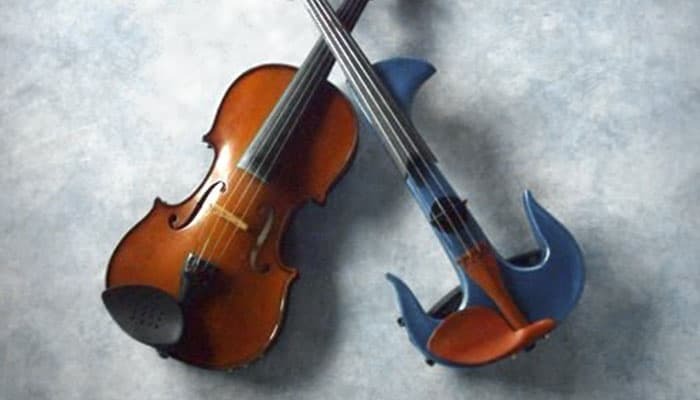 This can be hard to do, since we naturally want to presume that we will be professional players and professionals play with professional instruments, however that’s simply not beneficial. You won’t want to drag around an expensive harmonica everywhere in fear that it may get damaged. 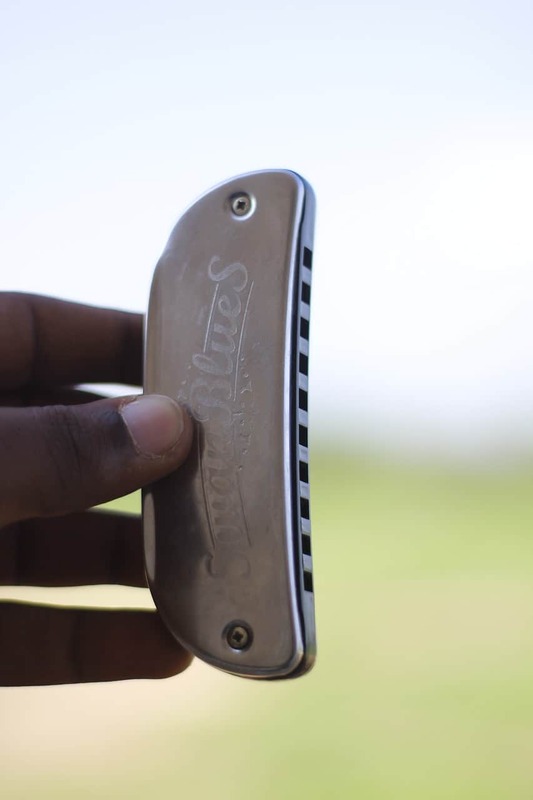 Having a cheaper harmonica will allow you to take it anywhere, anytime, without worrying about how many scratches or bumps it will get along the way. If you are an intermediate player, we actually recommend the same. Having one harmonica for home-outside use and one harmonica for performances can be very beneficial. Whether these two harmonicas are both expensive, both cheap or cheap and expensive, will remain up to you. Every harmonica sounds differently. There are usually seven Harmonica keys to choose from when buying the harmonica, too. Usually, the C-Key is the most common and widely used among harmonica players, however when purchasing your instrument you will always have the chance to also buy a harmonica in one of the other Harmonica keys. The seven keys are : C, Bb, A, D, E, F and G.
This can get confusing, since as a beginner you want to be able to explore and play in every key to see which suits you most. Unfortunately, most of the time, that’s not possible, and you will be left with a handful of YouTube videos that depict the differences between all of the keys on different harmonicas for you. If you are going to be using online instruction or books to learn the harmonica, at least 95% of the learning materials will assume that you have a C harmonica, unless stated otherwise. This is where another piece of knowledge piece comes in: having a harmonica in only one key, in this case the C-Key, means that it’s diatonic. Diatonic means that if you have a C-Key harmonica, it’s designed to play in a C-Key only. This also means that certain notes won’t be playable on a C harmonica. If you compare it to a piano, it would be like only playing the white keys. If you will want to play different songs in different Harmonica keys, then we are afraid that you will just need to purchase different types of harmonicas. Usually, each harmonica player has a set of different types of harmonicas in different Harmonica keys that they can use whenever the time arises. As you advance, you will discover which keys you will need to purchase and which you will use most. This, however, requires time, patience and some extra budget spendings. While most players stick the the diatonic C-key harmonica, some venture out further. You may have noticed that most of the harmonicas available out on the market are in the key of C, and are diatonic. As we explained before, diatonic means that the instrument can only play in one scale that it’s designed to play. The diatonic harmonica is predominantly used for playing blues, rock, and folk music. People such as Mick Jagger, Bob Dylan and Neil Young are known for using these kinds of harmonicas during their performances. A chromatic harmonica, on the other hand, is a harmonica that allows you to play in any scale you desire. It allows you to do this by pressing a button that is located on the side. This button allows you to change the Harmonica keys, and when you press it half-way, you get all of the half-notes. This may sound like a dream-come-true harmonica that is the solution to all problems. That may be the case for some people, however the chromatic harmonica doesn’t have the same ‘blues’ feel when you play it, since you can’t use the distinct bending technique that generates that style. It can also be extremely hard to find pieces of music that are specifically written for a chromatic harmonica. The chromatic is mostly used for play jazz, classical and pop music. If you are interested in these music genres, then we can definitely recommend taking a longer look as to what a chromatic harmonica has to offer. Most harmonicas come in sets. This means that the product will come with a case, and usually a cleaning cloth, too. On rare occasions you will also get a user’s manual, a learn how to play harmonica booklet or an instruction manual that will help you get started with your learning. It’s important to note that most expensive harmonicas don’t come with cases, and if they do, they you should probably look for something more durable that will ensure that your prized possession is 100% protected. It’s important to take good care of your harmonica, since most are irreplaceable due to health regulations. Regular, careful cleaning will ensure that you won’t see any deterioration in tone when you play. 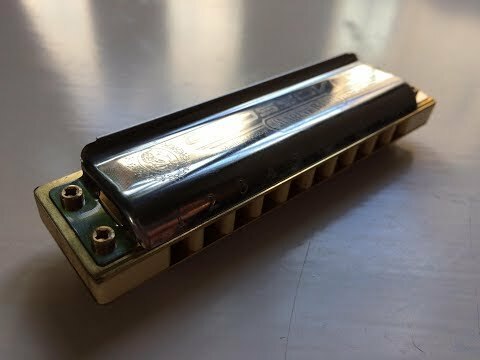 Rinsing your harmonica (only do this if it’s a plastic comb, otherwise it can provoke corrosion in metal/steel instruments) in luke warm can be the first step you can take to keep it clean and fresh. If you want to go further with the cleaning, you can always purchase isoprobyl, which is a rubbing alcohol that comes in a small spraying bottle that helps disinfect and keep your harmonica clean and shiny. When you open up the harmonica, be majorly careful to not disrupt the reeds in any way. It’s vital to handle them carefully, and when cleaning, gently rub them with the alcohol. When you finish, wipe off the alcohol residue lightly with a soft cloth. To hold a harmonica properly, you will need to make a C shape with your left hand, while leaving the thumb and first finger of your left hand straight and parallel to each other. Now, put the harmonica in your left hand, and align your right hand pinky to either go under your left hand, essentially cupping the bottom of your hand and harmonica, or put it on the side of the harmonica. For a beginner we recommend the Swan 10 Hole. Diatonic. It’s a great budget harmonica, comes in the C-Key, has a durable case, cleaning cloth, a rich sound quality and overall a very responsive and powerful performance. Harmonicas are air instruments, and this means that we need to use air to make them sound. With a harmonica, the sound is made by reeds, which are thin pieces of brass that vibrate and make sounds when they make contact with air. Harmonics can be purchased in various stores, both online and offline. Usually, people go to Amazon, to real-life retailers and/or music shops or simply to the official site of the company that is selling the harmonica that they want if they want to purchase one. 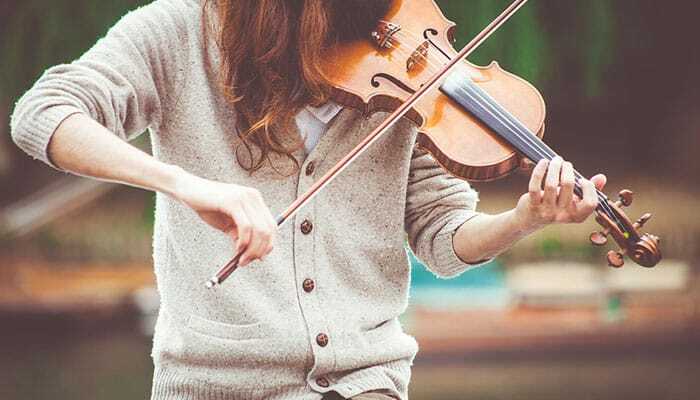 Don’t underestimate the power of consistency; practicing 10-20 minutes twice a week can get you a long way, and it will help you develop a steady practice schedule. The first harmonica was made in 1821, when free-read designs became popular. Christian Buschmann is considered the founding father of the harmonica, however other musicians also came up with similar-looking instruments at the time. Find out more about the harmonica and it's ties with blues in this study.